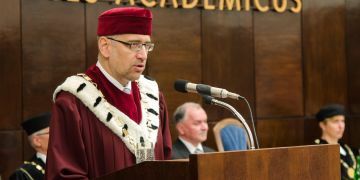 Rector Mikuláš Bek indicates the direction in which MU will have to go if it is to remain among the best. 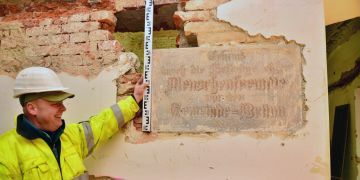 Workmen working on reconstruction of Faculty found a plaque from the year 1892 of the original city orphanage. 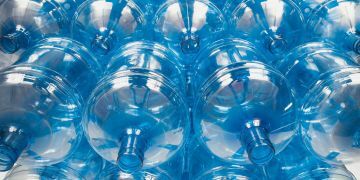 Problems with water quality at Pavilions A5 and A13 of the University Campus in Bohunice have been solved. The emphasis on research at MU pushed into the background the emphasis on quality teaching. That will change. 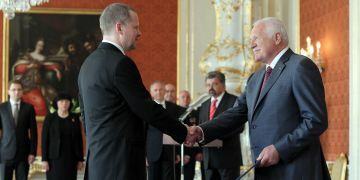 Vice-rector of Masaryk University Petr Fiala became the new minister of education on 2 May 2012. Liechtenstein Prince Hans-Adam II who visited Masaryk University in Brno at the beginning of April, met not only the representatives of the university but also discussed with students from four faculties. They touched on issues related to his new book The State in the Third Millenium. After the Prince´s lecture and the discussion, Rector of Masaryk University Petr Fiala acknowledged Hans Adam´s contribution to the development of Czech-Liechtenstein relations by awarding him the university's Great Gold Medal. Even though he had liked working as a lawyer in the United States, Professor Delaine Swenson decided to leave to Poland to transform a legal system there. He has already helped to reform the legal systems in several countries. It is not easy, people in those countries are often influenced by the Soviet history. “We made a decision that instead of changing the minds of those in power now, we would try to influence the thinking of those would be judges, lawyers and parliamentarians in the future,” said Swenson when he visited Faculty of Law at Masaryk University. Since 2005 a series of lectures called the Mendel Lectures have provided a unique opportunity to meet scientists of international renown. This year’s lectures are held – as in previous years – at Masaryk University’s Mendel Museum. 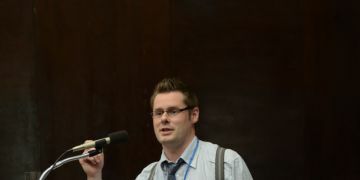 Michael N. Hall and Iain Campbell visited Brno in autumn 2010, and five more leading scientists will be arriving in the months to come. 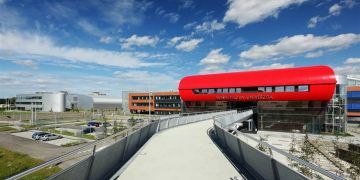 With the ceremonial opening of the final phase of construction of the university campus in Bohunice, Masaryk University completed an eight-year programme of material and technical development. The modern centre for teaching, research and development cost more than 5 billion Czech crowns and is the largest investment in higher education in central and eastern Europe. Splendidly-equipped teaching rooms and laboratory space will accommodate 5,000 students and a thousand academic researchers and employees of the Faculties of Medicine, Science and Sports Studies.